Earlier this month you could read a post about an eventual move of the San Antonio Missions to Witchita even though very unlikely. 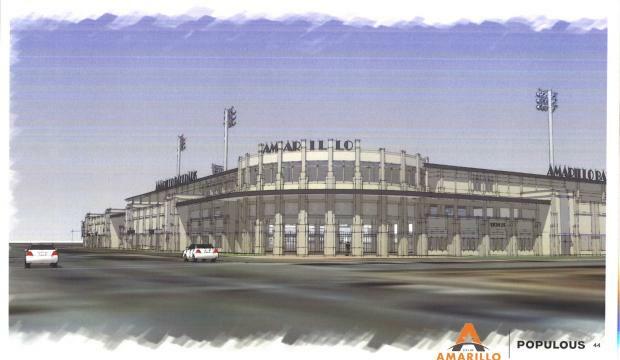 Well, we can scratch Wichita as possible Texas League city as the Elmore Sports Group has signed a stadium lease deal with the city of Amarillo. The Elmore Sports Group committed to a move of the San Antonio Missions to Amarillo to make room for the Colorado Springs Sky Sox (AAA) of the Pacific Coast League in San Antonio. The void in Colorado Springs will be filled by the Helena Brewers of the Pioneer League (Advanced Rookie). The city council agreed on the lease for a $45.5 million downtown ballpark by a 5-0 vote. The construction of the ballpark will start in December 2017 or January 2018. The Elmore Sports Group will pay an annual rent of $400,000. $225,000 of that amount will go to a capital maintenance fund. $175,000 will be used to pay down the facility. Another part of the deal is that the ESG will get all the revenue income (parking, entrance, and concessions) including those of a likely pro soccer team and other events (!). Even though the lease runs from April 1, 2019, through Dec. 31, 2048, the ESG has an opt-out clause in 2035 when they can ask for a renovation. If the renovation will be denied, the ESG has the right to get out of the deal in 2038. Pretty unique is a non-relocation clause that binds the team to the city. Next to this, there are three five-year options to extend the lease.